Our supports are invididually adjustable in height so you can level your conveyor with no need for shims. Rotating top clips adjust angles so you can slope your conveyor. 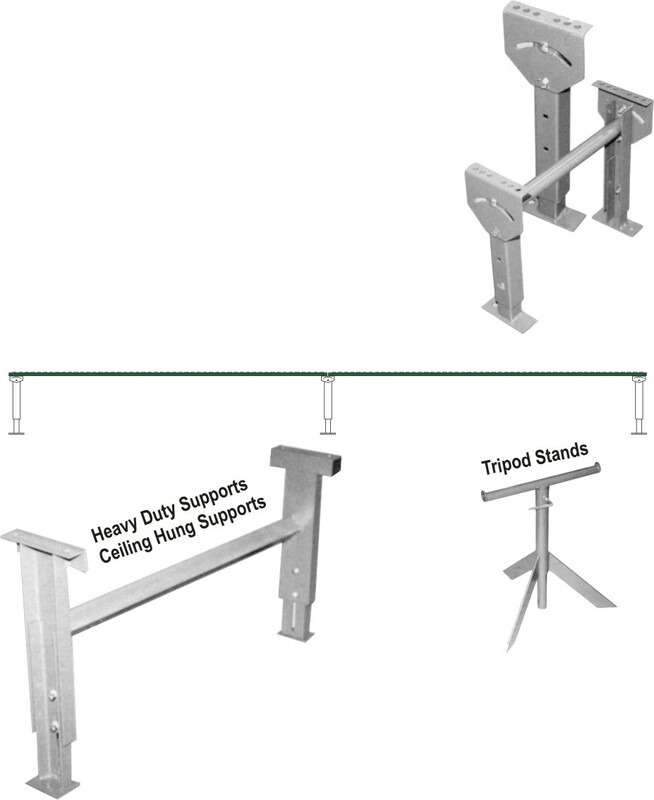 Stands join conveyor sections, so two lengths need only 3 stands as shown below. Our ceiling hung supports can get your conveyors up off the floor. We also make heavy duty supports for heavy industrial conveyors. Our adjustable industrial tripod stands come with a rack top (as shown) or with a roller on top to act as a handy infeed.